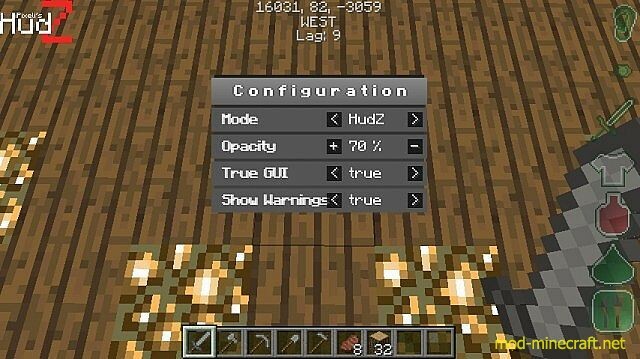 This mod is for playing MineZ. It supplys a Heads-Up-Display (HUD) showing you your coordinates, direction, lag, noise level, visibility, thirst, health, and hunger in a DayZ style. MineZ is DayZ in minecraft. MineZ is not made by me and neither is DayZ. No copyright infringement intended. 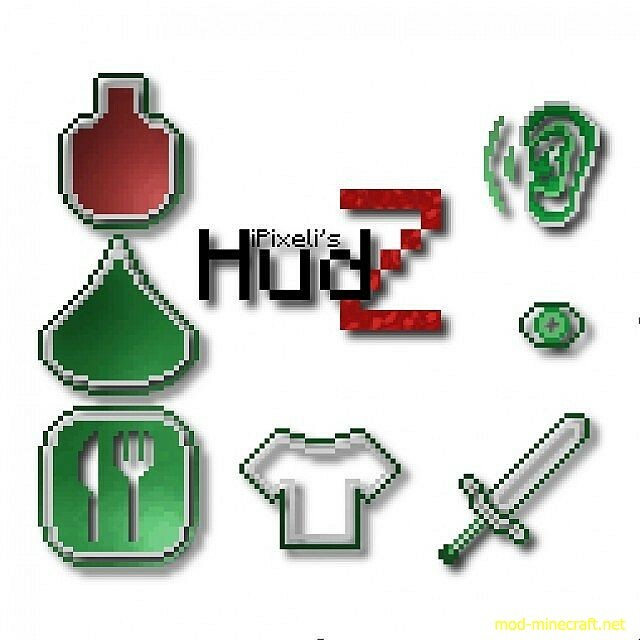 This Modification is the intellectual property of iPixeli of the MinecraftForum.net. It may be not be reproduced under any circumstances except for personal, private use as long as it remains in its unaltered, unedited form. It may not be placed on any web site or otherwise distributed publicly without advance written permission. Use of this mod on any other website or as a part of any public display is strictly prohibited. 1) Have Risugami’s ModLoader or MinecraftForge Universal installed.